People lose teeth for many reasons, including decay and gum disease. Problems can arise when a tooth is missing, such as tipping and movement of the neighboring and opposing teeth. This results in abnormal stresses on these teeth and consequent breakdown and potential loss. The area can also be more difficult to clean, and gum disease and bone loss can occur. Missing teeth can also manifest in biting, chewing and speech difficulties. Do Your Hide Your Mouth When Talking Or Laughing? If tooth loss occurs in the front of the mouth, people can also suffer from embarrassment and low self-esteem. They hide their mouths with their hands when they are talking or laughing. 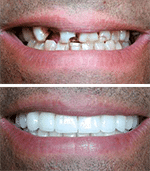 One option of replacing a missing tooth or teeth is with a dental bridge. A dental bridge is a custom-made tooth held in place by the adjacent teeth. It is especially useful if those neighboring teeth already need crowns, so not only would a tooth be replaced but the other injured teeth would be treated at the same time. A dental bridge can be placed a lot faster than a dental implant as well, and unlike a partial denture, does not come out of the mouth. 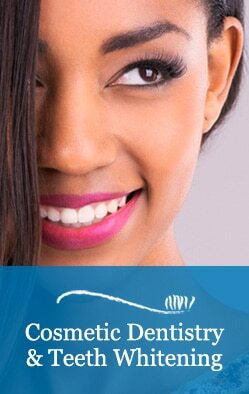 If you are missing one or more teeth, Dr. Osterberg and Dr. Murray can help you decide if a bridge will be your best option. Call us today and arrange an appointment.